The Enlace Community Activism Legal Clinic serves the Little Village community. 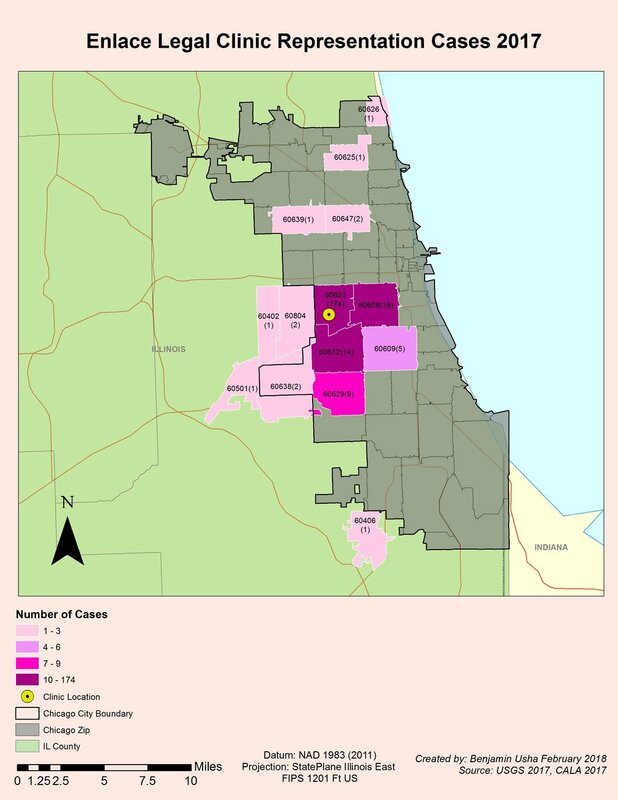 The weekly clinic provides a valuable, free legal resource for residents of Little Village. The clinic operates every Tuesday evening from 5:00pm-8:00pm. Individuals and families who need legal assistance are seen on a walk in basis. Enlace Immigration & Legal Services Coordinator Lulu Martinez and one of our clients celebrate his new green card. The Enlace Community Activism Legal Clinic is full service: providing a wide-range of services from advice, extended assistance, representation, to community legal education. We schedule follow up meetings with clients every Tuesday and Friday. 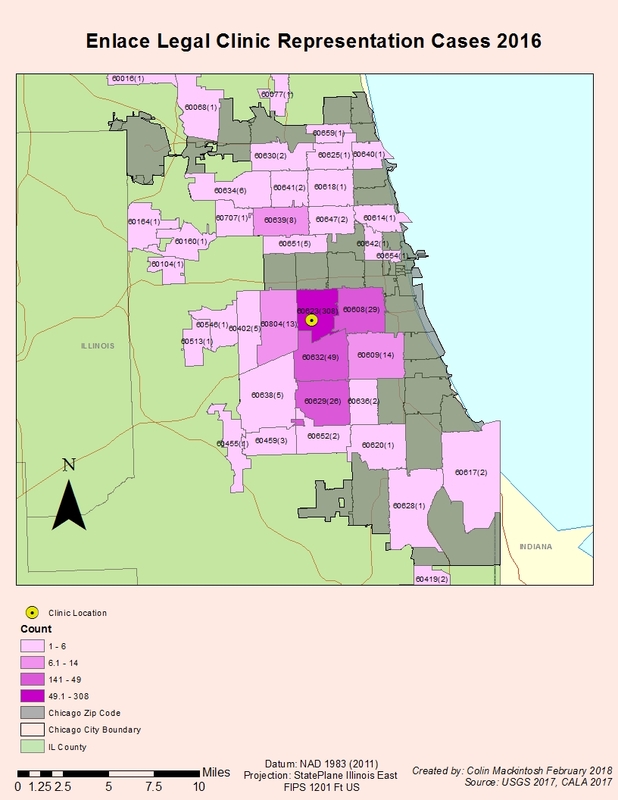 Priority is given to clients who are low-income residents of Little Village in the following areas: immigration, family law, criminal records, housing, and education. CALA Staff Attorney Nebula Li assists a student with his DACA application. For more information on the clinics, download our English and Spanish language brochures. 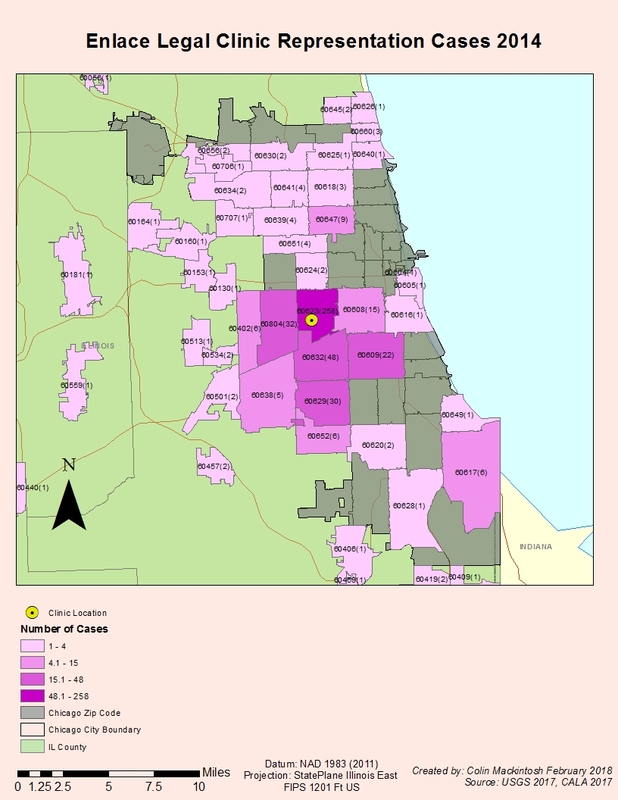 Enlace Chicago serves the Little Village Community, which continues to be one of Chicago’s most densely populated neighborhoods with a high percentage of youth. However, it also continues to be one of the communities with the least amount of green space per capita. The working-class residents of the Little Village community quietly support the way of life of all Chicagoans. Our residents staff restaurants throughout the city. They provide daily assistance as laborers in industries like manufacturing, landscaping, service, and construction. Yet our residents do not have access to the same opportunities available to those who employ them. Neighborhood schools fall below state standards. Children play on the streets due to a lack of parks, playgrounds, and green space. Residents must consistently face the violence that sporadically erupts between gangs. Enlace Chicago works to improve these conditions through a preventative and proactive approach that strengthens our families, our neighborhood, and thereby, our city. CALA, Enlace and some of our clients standing up to unjust budget cuts by participating in a walk out and civil disobedience in the Loop. Our collaboration involves more than providing services; we support Enlace's activism and commitment to stand up for what's right!